There was no way we were going to let record-breaking cold weather give us the winter blues. 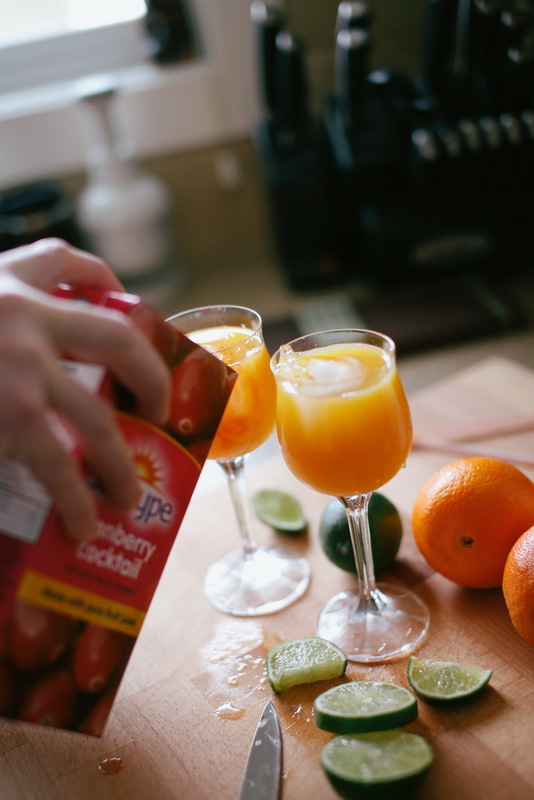 We decided to make some refreshing tropical treats to boost our spirits. 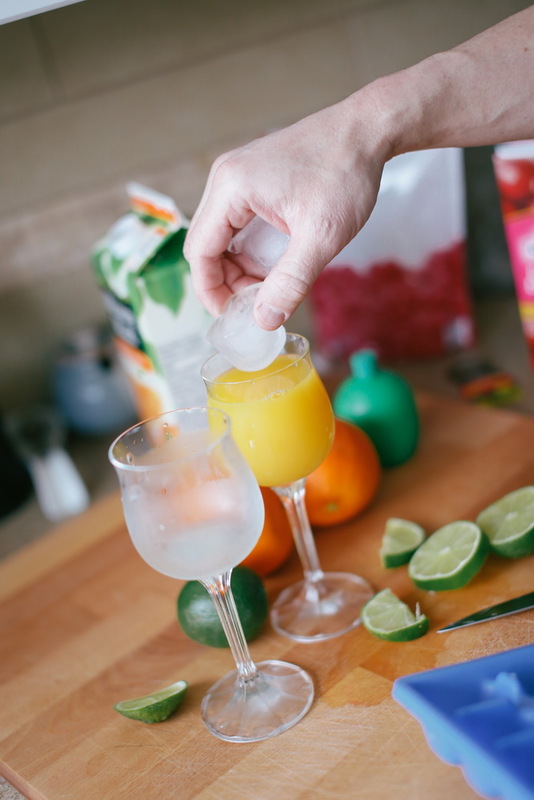 - Pour 1 oz lime juice. Add orange juice, then top up with cranberry juice. Lindsey and I first learned about this drink while we were living in Australia. It's a keeper. - Rim the inside of a glass with 5-6 dashes of Angostura aromatic bitters. - Add ice and swirl until the glass is evenly coated with Angostura aromatic bitters. 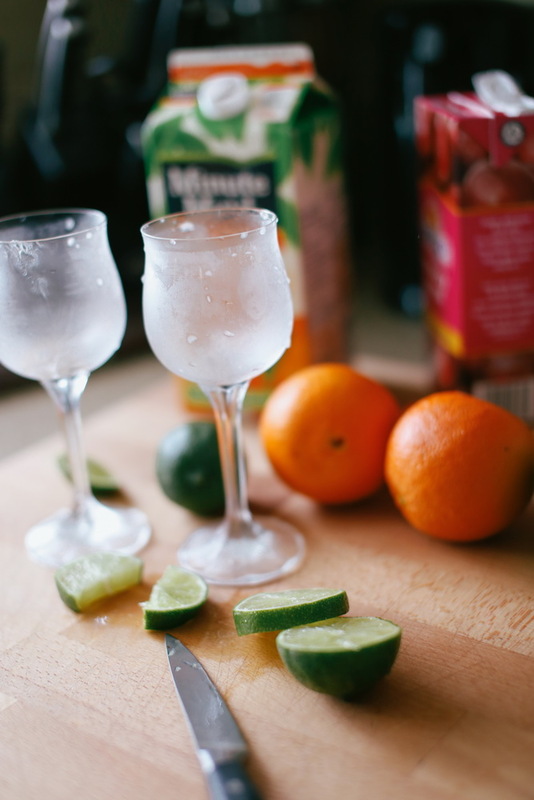 - Fill glass with lemonade or Sprite and a shot (15 ml) of lime cordial or fresh lime juice. ( For a low-cal version fill glass with soda or use diet drinks). 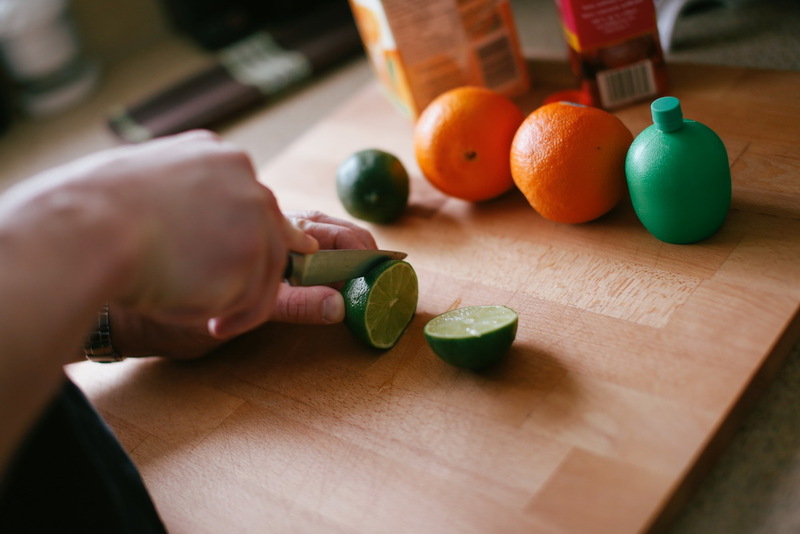 - Garnish with a slice of lemon or lime.